Do you have family and friends headed your way during the holidays? 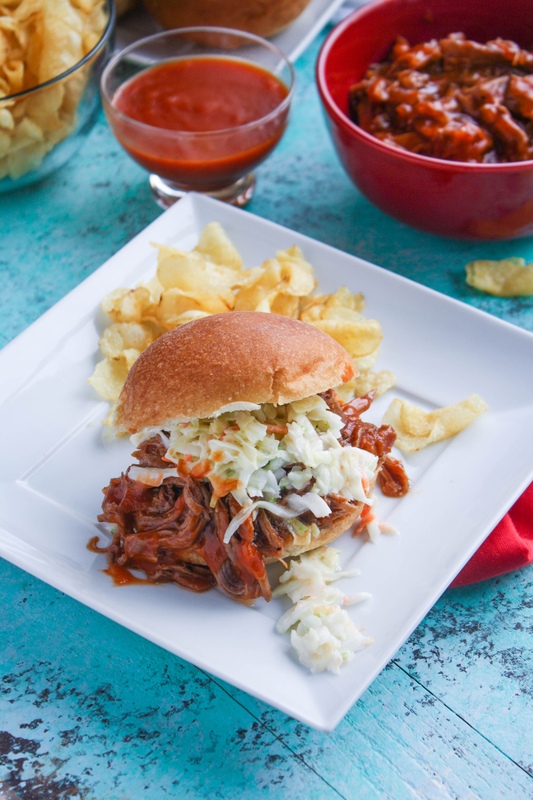 Slow Cooker BBQ Beef Sandwiches are a great way to feed a crowd — or even just a handful of people because the leftovers are fab. And, hello homemade BBQ sauce! The BBQ sauce recipe for these sandwiches was passed to me from a friend, who got it from her friend “back home” in Michigan. Those are the best sorts of recipes, don’t you think? My friend said her friend’s BBQ Beef Sandwiches are known far and wide, and for good reason! The sauce is so easy to make, and has the added benefit of a little texture from diced onion. 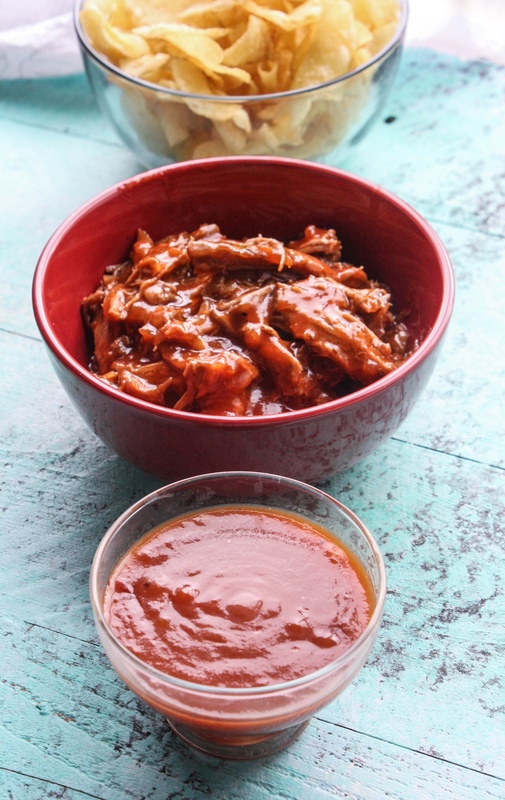 It’s sweet, tangy, and delicious as a great BBQ sauce should be! If you like to try different barbecue sauce recipes, check out my recipe for Grilled Chicken with Cherry-Chile Sauce. It’s so flavorful, and a little out of the ordinary, too. I have family visiting for the holidays, and that means the house needs cleaned, decorations need final touches, cookies need baked, and gifts need wrapped. With so much to do, I decided to break out the slow cooker on a busy Sunday afternoon. My husband and I dug into these Slow Cooker BBQ Beef Sandwiches at the end of the day, and we were delighted. There was no kitchen fuss and a whole lot of flavor, and both were a big deal for us. On top of everything else going on, we’ve had a pup with some health issues (check out our adorable dog and the Pumpkin-Peanut Butter Dog Biscuits I made for her), so an easy, home cooked meal was more than welcome. If you’re in need of a filling, vegetarian-friendly sandwich, try my Eggplant Muffuletta Sandwiches. There are so many great flavors going on in these sandwiches! 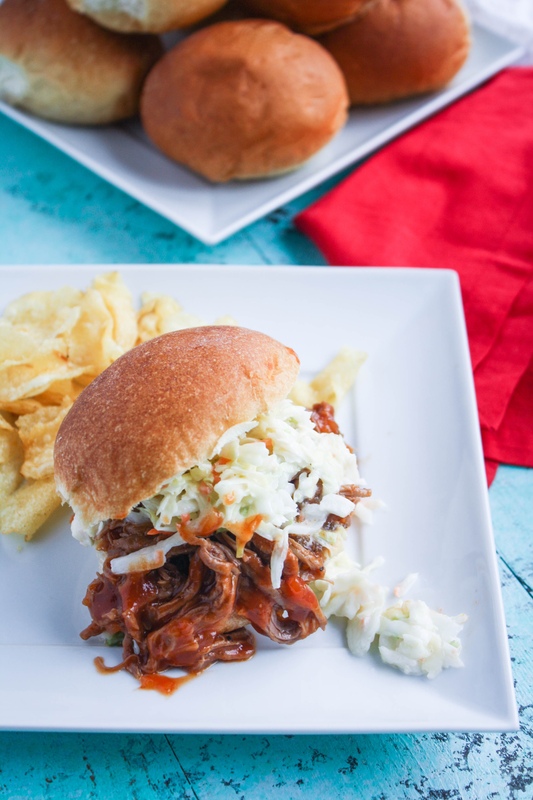 Whether you have friends coming over to watch a game, family visiting during the holidays, or you’re just in need of a fuss-free meal, try these Slow Cooker BBQ Beef Sandwiches — they are definitely a crowd pleaser! Season the beef with the salt, pepper, and garlic powder. Add to the slow cooker and cook on high heat for about 3 hours. About 30 minutes before the beef is finished cooking, add the ketchup, tomato sauce, onion, dry mustard, salt, pepper, garlic powder, paprika, brown sugar, lemon juice, and Worcestershire sauce to a saucepan over medium heat. Whisk to combine. Increase the heat and bring the mixture to a boil. Reduce the heat and simmer the mixture for 30 minutes, stirring occasionally. When the beef is finished, remove it from the heat. Place on a cutting board and use two forks to shred the meat. Transfer to a serving bowl and pour the sauce over the beef (reserve about 1/4 of the sauce). Toss to combine. 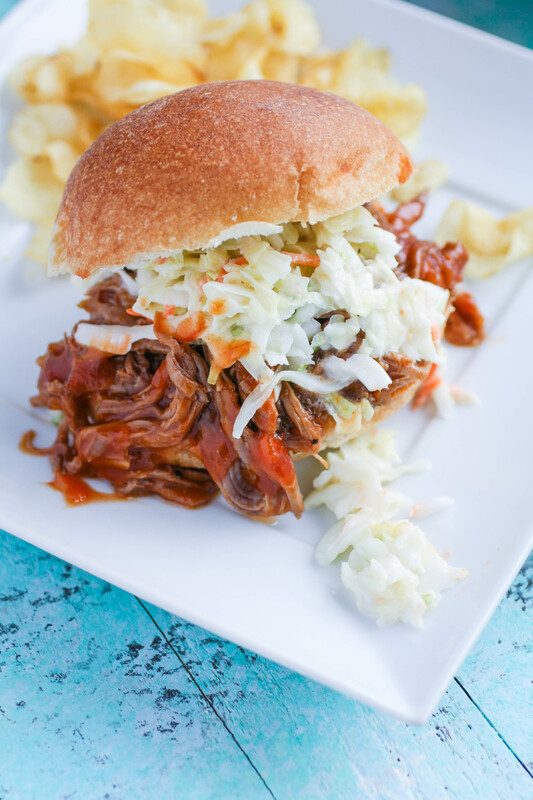 Serve on buns with coleslaw. Use the reserved sauce to serve with the sandwiches. I can't wait to try these! I know they will quickly become a highly requested meal...especially from my husband!! That's great to hear! Thanks, Jen! These look so good! Us Pittsburghers are well accustomed to cole slaw on our sandwiches. I can't wait to try them. Thanks very much, Carley! Mmmm....it's so good! And how about French fries on sandwiches :) Mmmm! This will be a huge hit at my house! We also love slaw on ours! Awesome! Yes, I loooove the added slaw! 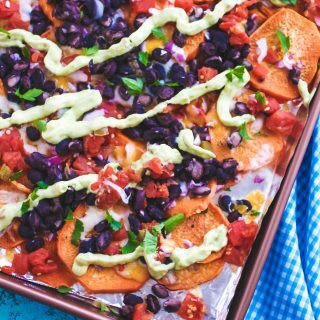 These look positively delicious! I know my family would love these sandwiches! Thanks so much, Dee! Enjoy! Those pictures are making my mouth water, these sandwiches look SO good! these look so good! I love slow cooker recipes! Thanks very much! Yes, I soooo agree! These look so delicious! And, you are right, what a great idea for holiday company—Super Bowl Sunday as well! Oh, for sure! Thanks very much, Sandra! Oh man, I love how juicy good these look! BBQ should always be messy and this looks like it might require a few napkins. Haha! Yes, bring on the napkins! Thanks so much, Lauren! Thanks a bunch, Amanda! Yes, for sure! Oh my gosh, is it weird that I could taste this as I was reading it?! It looks SO good! Also, which buns did you buy? They look so so so delicious! Thanks, Jasmine! Hmmm.... I think the buns were just deli rolls that were sold in bulk. Hope you like this! My kid loves sandwiches for dinner! I am always looking for new recipes! Yes!! I hope you all like this recipe! My family will absolutely love these sandwiches! Pure comfort food! For sure! I'm so glad this is something the family will enjoy! Definitely my kind of meal! And I love trying new recipes for BBQ sauce! Yes! I like this one that my friend shared with me! I am putting this in the crockpot shortly. My son love so pulled pork and requested it before he goes back to school. I have all the ingredients for this so yay! So glad there is not much prep for making this. Yes! Totally easy and hope you and your son enjoy this one, too!